So you know that three-digit number that people always stress out about? That’s a credit score. A credit score is basically used as a measure of how credit bureaus rate your trustworthiness when it comes to paying off your debts. It may seem like these credit bureaus pull your score out of nowhere, but surprisingly there’s actually some data behind it. 1.) Payment History (35 Percent) – Tracks if you’ve made all your payments on time. Failure to pay off the amount owed by the due date will negatively affect your score. 2.) Amount Owed (30 Percent) – This category looks at how much of your available credit you’re using. Using a low amount of your available credit is good, so if you’re consistently utilizing a large portion of your available credit amount it will lower your score. 3.) Length of Credit History (15 Percent) – How long you’ve had your accounts open. Older accounts make a positive impact on your credit because they show a trend of responsible behavior. Your average credit age is taken into consideration, so for example, you might see a temporary decrease in your score if you open a new credit card because it lowers the average age of accounts. 4.) Types of Credit Accounts (10 Percent) – More than just credit card accounts make make up your score. 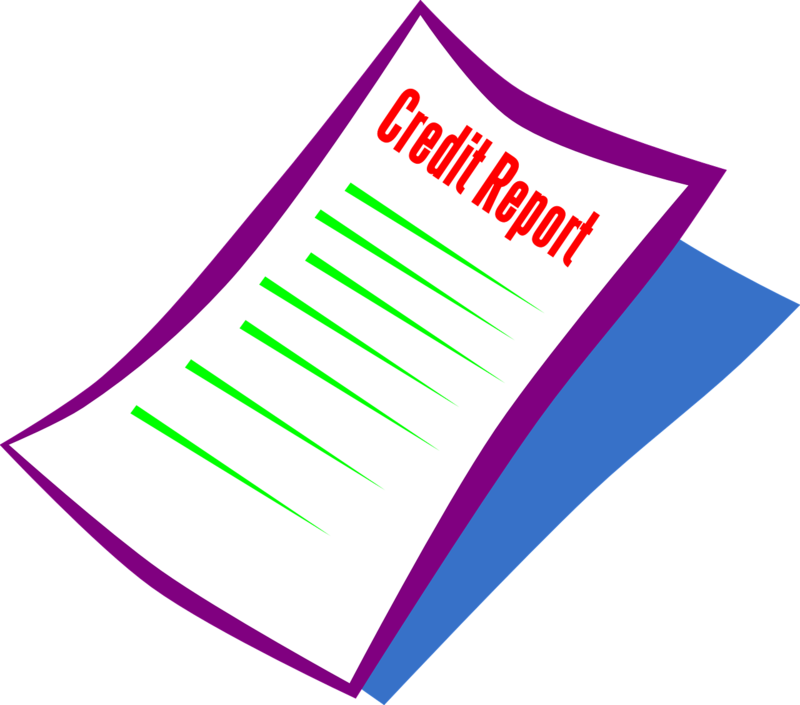 Mortgages, loans, rental data, and various types of credit cards can affect your credit score. 5.) New Credit (10 Percent) – Your inquiry into new lines of credit. If you attempt to get too many new lines of credit in a short period of time it will negatively affect your score. This includes credit inquiries (hard pulls) and accounts recently opened. A credit score falls between 300 and 850, and this isn’t golf so a higher number is better. 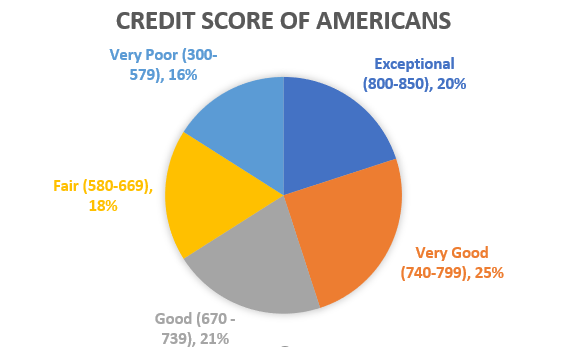 The chart below shows the percent of Americans in each category according to Experian (one of the credit bureaus), so you can see how you stack up. So now that you know how it’s determined, let’s look at why it matters. We’ll use an example that makes it pretty clear. Say two people are buying a $20,000 car. One of the customers has great credit and is able to secure a 0% APR, 60 month loan. This customer ends up paying $20,000 for the car. The next customer’s credit isn’t as good and ends up with a 5% APR, 60 month loan to pay for the vehicle. Due to the poorer credit this customer ends up paying $22,645.48 for the same vehicle. That’s over a13.2% increase over the price paid by the first customer! In addition to determining interest rates on loans, your credit score can also determine whether you can even get a loan, if a landlord will rent their property to you, and if you are approved for a credit cards. Make sure you are staying up to date on your credit score and try to improve it as much as possible, especially if you are getting ready to make a big purchase.